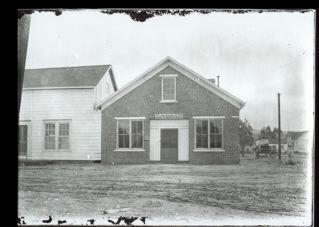 Photo: courtesy Spanishtown Historical Society, the SHS operates a small museum on Johnston St. Check with the HMB Chamber of Commerce for the schedule. probably for Ocean Shore (as in railroad), but I’m stumpted about the A.O. I’ve found about 40 so far. I’m glad to share. sure is fun checking in with your wonderful site. keep on keeping the coastal memories alive and kickin’. just saw my name mentioned in a complementary context — thank you, fayden! Hi June! Just busy fixing, building, being a grandpa, being a dad, being a husband, being a good worker, being being being etc. (Baba Ram Dass would have liked those last three words). 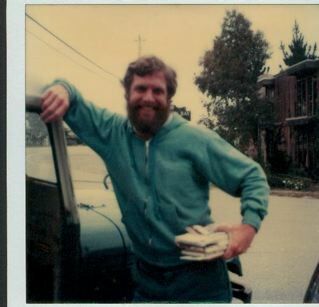 There is this really nice man who just moved to the coast named Charles, who owns Coastside spa repair in Princeton– he is very interested in coastside history (military, mainly, I think). What building did what kinda thing and where. I told him about the pedestrian overpass in Montara going over to the lighthouse for the enlisted men– from the end of what is now Serra St. in Moss Beach– and about the gun turrets in front of the Distillery– and that most of the horizontal (small lap), lap strake homes on the coast were probably officers homes. Then I had this great idea, and I suggested he read your articles. I loaned him your book (I really want you to autograph it), and told him perhaps you would know more about the coast in this regard. 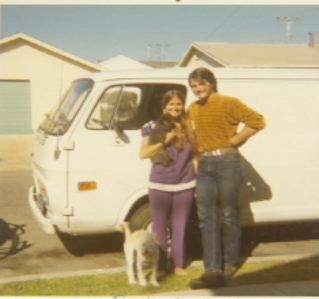 This picture is of Belinda Balaski and me the day before I left to go to Europe on tour in 1970– she starred in and acted in a bunch of movies and now runs an acting school in L.A.. Belinda was a local on the coast in the late sixties, worked at the Miramar Beach Inn– although it was called the Spouter Inn for awhile, then the Shelter Inn. Belinda is a great gal! She was one of the rare coastside poodle owners as well. She always had Muffin, her poodle, with her wherever she was– and apparently has always had one to this day. I like guitars better, I don’t have to feed them, take them for walks, or hold them unless I want to! Anyway, got back from my European tour…the first morning back I’m walking south on the beach from El Granada, and I see Belinda running in front of the Miramar Inn across the beach. My hopes arise that she and I will pick up where we had romantically departed. She sees me… smiles, comes running up to me, gives me a big hug, and kiss– and in the same moment tells me excitedly she is living with Mike Mindell! My heart was broken…….. well not really, but I was forever jealous of Mike after this moment. Mike, by the way, was one of the managers from the Spouter Inn days. He and Belinda moved to Manhattan beach where Mike recorded for Kapp records while Belinda launched her acting career. Mike is a great guy too, reminds me of Peter Adams in a way. So there is a part of coastside history before you moved here, my friend, that was apparently important for me to share with you. By the way, I fell in love with you the day you brought two plastic dog puppets that operated from squeeze handles into the kitchen by the back door. Do you remember them? You sat across from me at the kitchen table, and did a puppet show with them, you being the voice for both! You won my heart forever! "The rancheros felt safe but life did not go smoothly. While Miramontes, for example, maintained excellent relations with Vasquez and Guerrero, he had trouble with Jose Alivso, his neighbor to the south–the grantee to the Rancho Canada Verde y Arroyo de la Purisima. Miramontes and Alviso were feuding over a narrow strip of land located between the two ranchos. Perhaps the problem could be traced to the original crude maps that were unclear. Both men claimed it but only Alviso erected an adobe on the property. There were angry confrontations and showdowns. Miramontes often complained that Alviso drove his men off whenever they came to work the land. Alviso made similar charges. [The disagreement was finally resolved when a court determined that the land belonged to Alviso]. 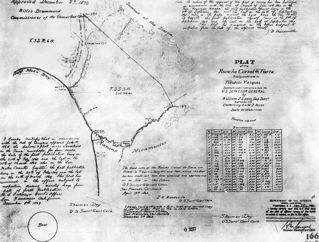 Alviso may have triumphed in the battle over the land but the Miramontes family was prolific and had grown so large that visitors referred to their rancho in Half Moon Bay as the "Miramontes District". One daughter, Carmelita, achieved local fame for her medical expertise as a midwife. 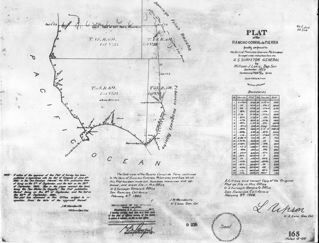 Some Americans squatted on the Miramontes rancho, firmly believing the US government would declare the land public domain–but there were others who became "legal" neighbors. 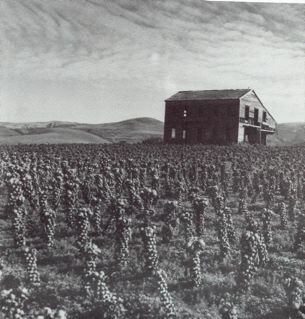 A portion of the Miramontes rancho had been sold to Ohio native James Johnston. Accompanied by his two brothers, the Johnstons heroically crossed the plains, mountains and deserts only to face the toughest obstacle of all. The Johnston Brothers had no idea how they were going to drop down from the Santa Cruz Mountains into the beautiful Half Moon Bay Valley. Got an email from Greg Faris* citing the current status of 639 Santiago in El Granada–an historic home listed in Barbara Vanderwerf’s** book, “Granada, A Synonym for Paradise”. inventory of the original homes at the request of the HRAB. *For earlier posts by Greg Faris, punch in his name at the search engine on my site. **Sad News: Via Greg Faris, I’ve learned that Barbara Vanderwerf’s beloved husband, Bill, passed away. We are sorry for your loss, Barbara. 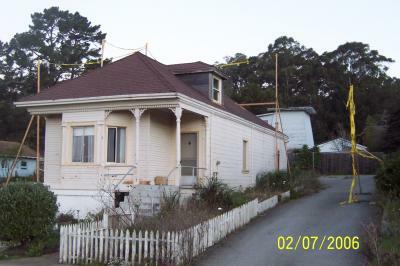 Backstory: The house was originally built, circa 1930, by California State Senator Harry Parkman. It is said that Senator Parkman hired a Swedish stonemason to build the gorgeous rock wall surrounding the home as well as the large fireplace inside. The Coastside rancheros found San Francisco a dangerous place to live in the 1840s. 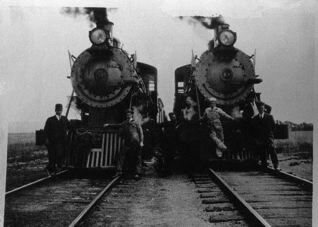 Political turmoil permeated the air–the United States was preparing for war with Mexico–and California was the ultimate prize. As part of the Mexican regime, the rancheros–Francisco Guerrero, Candelario Miramontes Tiburcio Vasquez–were vulnerble and feared for their lives. So they sought haven on the Coastside where enemies would be unable to find them. The Coastside was so remote tht only the mountain lions could track them. California had already weathered a change of rule as the baton of power was passed from Spain to Mexico. Now, as Americans moved in, a more significant cultural and political change was on the way. This was the setting on the eve of the Gold Rush that brought hoards of Americans to the Golden State. Guerrero, Miramontes and Vasquez knew one another–they had been stationed in San Francisco under Mexican rule. But most likely it was Vasquez who knew the secret route into isolated Half Moon Bay. 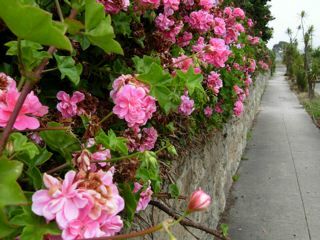 He had been the supervisor of Mission Dolores’ livestock and ws familiar with the Corral de Tierra, a 7, 766-acre piece of breathtaking grazing land stretching from Montara to Half Moon Bay. The Corral de Tierra was so named because the terrain formed a natural enclosure. Spanish mission system under which so many Indians had perished. They benefited from the demise of this system as loyal military officers and other deserving individuals were rewarded with tracts of land known as ranchos. Vasquez applied for and received the southern portion of the Corral de Tierra. 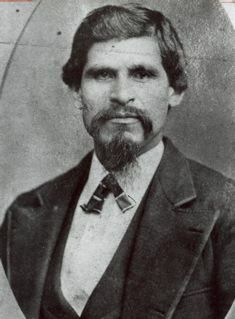 Francisco Guerrero, who had held various political positions in San Francisco, also applied for and received the northern section of the Corral de Tierra.